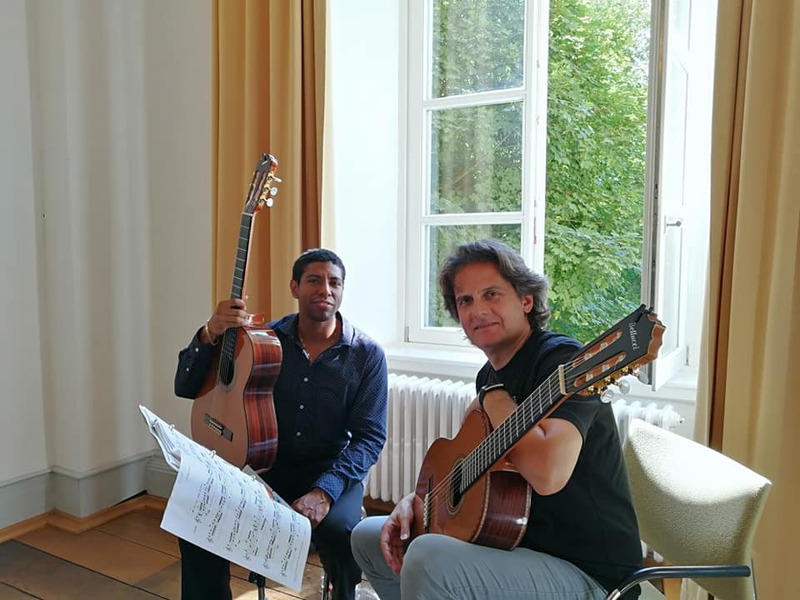 The 27th Iserlohn (Germany) International Guitar Festival is one of the most prestigious guitar festivals in the world. A week of “total immersion” in the guitar world. 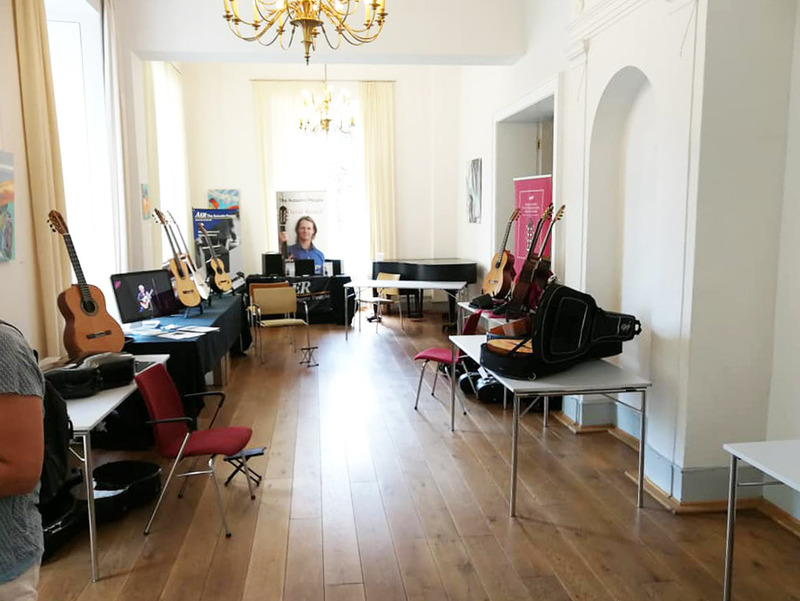 2 concerts a day, masterclasses, guitar exhibitions, competition and R&R among guitar pros and guitar enthusiasts stretch late into the night! 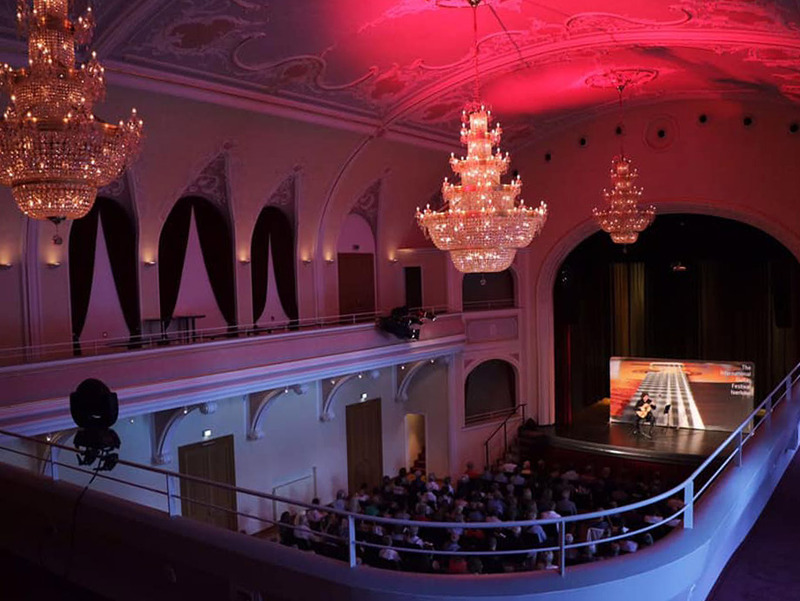 Luciano Pimpilio, was invited to be part of the festival for the third time by festival organizer Thomas-Friedrich Kirchhoff. Luciano Pompilio's participation started with a duo accompanied by the beautiful voice of italian soprano Veronica Granatiero. Everyone was taken by surprise when Luciano and Verinica played two opera arias by Rossini and Puccini respectively. 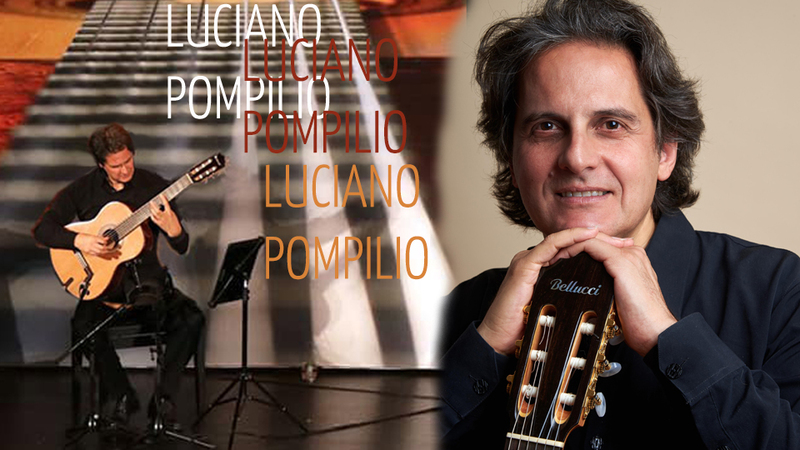 In a contemporary guitar world exploding with "Hollow top" Doubletops, Luciano's new Bellucci Guitar, "Gloria del Paraguay Model", was received with a standing ovation when Luciano performed Barrios' "Un Sueño en la Floresta". Later the same week, Luciano dictated masterclasses to outstanding guitar students from all over the world. Good beer and good company among friends and colleagues were the norm at Iserlohn 2018.